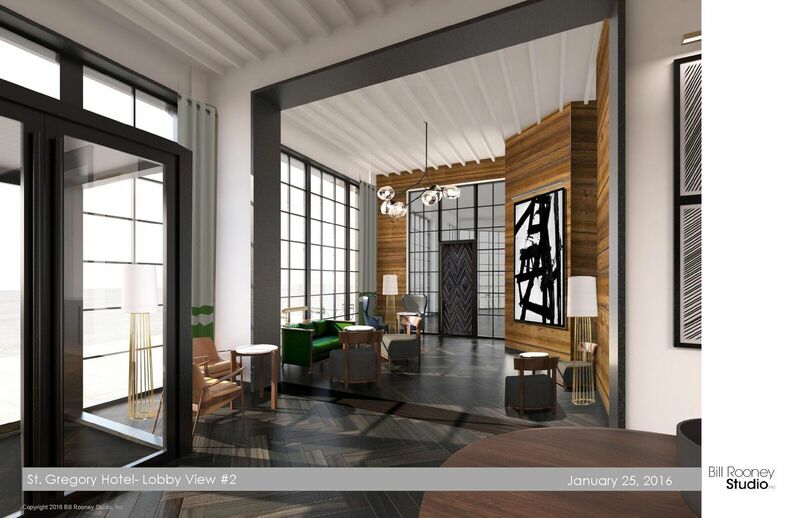 Partners Laurence Saul, Greg Dodge & Jay Overcash of Zavino Hospitality Group in partnership with Pennsylvania-based REIT Hersha Hospitality Trust are pleased to announce the October anticipated opening of Tredici Enoteca at The St. Gregory Hotel. Located in the heart of Dupont Circle at 2033 M Street, NW, the new restaurant is part of a 16-week overhaul of The St. Gregory Hotel’s lobby, restaurant, bar and patio, totaling 7,000-square feet. Carlos Aparicio has been tapped to serve as executive chef of Tredici. Hebrings over 20 years of culinary experience, garnered throughout New York City and Philadelphia, to Zavino Hospitality Group’s newest dining concept. A native of Puebla, Mexico, Aparicio learned the secrets of authentic, homemade Mexican cuisine while watching his mother cook in their rustic kitchen. Throughout his tenure, Aparicio has cooked at a number of restaurants with notable Philadelphia chefs and restaurateurs including Buddakan and Parc Restaurant with Stephen Starr, POD with Michael Schulson and Osteria with Marc Vetri. Most recently, he was the executive chef at Zavino Wine Bar Pizzeria in Philadelphia, where he served for five years. Fans of the Philadelphia location will enjoy savoring the restaurant’s signature dishes such as Broccoli & Avocado with black sesame and Dijon vinaigrette; Hanger Steak with crispy potato and salsa verde; Mediterranean Tasting Board with hummus, falafel, vegetables, Tuscan bread and quinoa salad; Squid Ink Tonarelli with cockles, shishito peppers, white wine and a garlic cream sauce; Moroccan Spice Pork Ribs with grilled scallions; Cumin Carrots with yogurt and cilantro; Israeli Couscous with cherry tomato, avocado, basil, almonds, burrata and basil pesto as well as a number of items from the raw bar including Tuna Crudo with sweet soy, avocado, black sesame and jalapeño; Stone Crab Claws, and a daily oyster selection. A variety of flatbreads, including gluten-free options, inspired by Tredici’s sister wine bar and pizzeria concept, Zavino, will also be available. Salads, small plates and veggies will be priced from $9 to $15 while meats, fish and pastas will be priced from $12 to $24. Tredici will offer a highly selective list of wines highlighting the major regions such as California, Italy, Argentina, Chile and France. Thirty wines will be available by the bottle or by the glass. Guests will also be able to enjoy a half glass, or 3.17-ounce pour of any of the restaurant’s featured wines. A Cruvinet temperature controlled wine-keeper system will also be available to store six premiums bottles that guests can enjoy by the glass or half-glass. Examples of some premiums bottles include Caymus Cabernet Sauvignon 2013, Trimbach Gewurztraminer 2006, and the Bertani Amarone della Valpolicella Classico 1980. Furthermore, a rotating list of craft cocktails will also be available, along with 10 beers by the bottle. Partners Laurence Saul, Greg Dodge & Jay Overcash partnered with Boxwood Architects to design the 4,500-square foot, 60-seat space, which artfully uses materials and illumination to preserve the energy of the restaurant from one space into another, uniting each in warm harmony. Finishes were chosen to echo the hues of the Tuscan countryside, and include white oak herringbone floors, floor-to-ceiling windows and fantasy brown marble. Other design elements include solid brass inlays and accents, curving walnut millwork, antique mirrors, cream-colored subway tiles, and deep blue accent paint which adorn the walls, windows, and doors throughout the restaurant. Moss-green Italian leather upholsters the custom swiveled bar stools, secured with antique brass rivets alien the expansive 30-seat bar. An outdoor patio will also be available during the spring and summer months (weather permitting) and can accommodate an additional 35 seats. Designed by Bill Rooney of STUDIOinc, the 1,000-square foot lobby of The St. Gregory Hotel is arranged around a series of levels which seamlessly integrate the restaurant into the lobby. Sophisticated and distinctive, the bright space is composed of a mixture of heritage and modern elements, drawing inspiration from the refinement and simplicity of American Federal-style, juxtaposed with vintage mid-century design. High ceilings, dark herringbone wood flooring, bookcases, a dramatic staircase, modern chandeliers and a hearth and fireplace define the architecture of the room and make for an intimate gathering place. Tredici Enoteca at The St. Gregory Hotel is located at 2033 M Street, NW, Washington, DC 20036. The restaurant is located five blocks from the Dupont Circle Metro accessible on the red line and five blocks from the Foggy Bottom-GWU Metro accessible on the orange, silver and blue lines. The restaurant will serve breakfast, lunch and dinner daily, along with weekend brunch service on Saturdays and Sundays. For reservations or additional information, please call (202) 530-3600 or visit www.TrediciDC.com.